Whether you want to go way up high, or way down low Paccar Scout Camp has activities for you. There is a wide choice of instructed and non-instructed activities to challenge groups of all ages. All instructors are qualified and CRB Checked and all of our activities are run in accordance with current Scout and Guide regulations. Please book your activities in advance of your stay or visit. Max: 30 people. Suitable for persons aged upto age 11 years. Have fun and let off steam in our Adventure Area. Climb, bounce and slide your way through our adventure area complete with trampoline and aerial runway. All Paccar Instructors for this activity are GNAS qualified. You are welcome to supply your own instructors, if you wish to do so please ensure you bring your GNAS certificates as without producing them we are unable to allow you to take charge of any sessions. 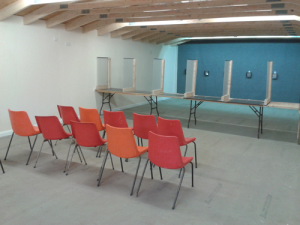 Taking part in Archery has many benefits for both adults and children. Archery can increase focus, flexibility, and attention skills. Archery in our fully netted archery range provides great satisfaction by combining both mental and physical attributes it also teaches everyone to be safe and responsible for one another and also for the equipment you are using. Why not learn a new skill and work towards your Circus Skill Badge? Our circus skills activity keeps you active and there is something for most age groups. Learn to juggle, spin the plates, walk on stilts or ride a unicycle! Make the climb to the top of our 9 metre climbing wall which also has an abseiling face. All Paccar instructors/supervisors for this activity are qualified to the requirements contained in the Scout Association’s Policy, Organisation and Rules (POR). We also have Instructors qualified to Girl Guiding Climbing & Abseiling Level 1, please be sure to let us know in advance if this is required to ensure we have the correct instructors available. As well as being an extremely fun activity, climbing walls can help develop life skills including communication, social skills, teamwork and leadership. If you want an even more exciting time at the climbing wall, why not book an evening climb. Our floodlit wall gives an interesting twist on climbing. Great to help towards Climber Activity Badge! Crate stacking is an excellent team building game suitable for 6 years old upward, dependant on height. Older members can work towards stacking single crates, while younger users can work together and build a double stack of crates. Finding and visiting locations around the site where boards are located telling you about various Faiths. There is a question and answer sheet to accompany the trail as you learn about all the different faiths. A Badge is awarded on competing the trail. Climb ever higher from one obstacle to the next on our Gladiator challenge. Your vertical ascent will see you tackle poles, a cargo net and tyre wall. Its a race to the top !!! Four participants work together to carefully climb to the top of a 10-metre pole. Once on the top platform the aim is to join hands and lean back as far as possible. This activity is great for fostering support for each other and promoting a sense of joint achievement in groups. This course is closely monitored by qualified supervisors and utilises dual clip safety harness. Max: High Ropes: Max: 12 people and for safety reasons users must be at least 1.4 metres tall. Enjoy this forest adventure as our ten element High Ropes course, which runs through the woods, with varied challenging sections to traverse between the trees. Start a few feet above ground level and finishes on a high (literally!) at elevation of over ten metres, then take an exhilarating ride of almost 100 metres of zip-wire descent. Why not work towards your Hikes Away Staged Activity Badge ? Explore the local area with one or more of our selection of Hike Routes. Varying from a couple of hours to all day you can download route plans.If you are planning on completing one of the longer or more complex routes you will need to bring an OS map. 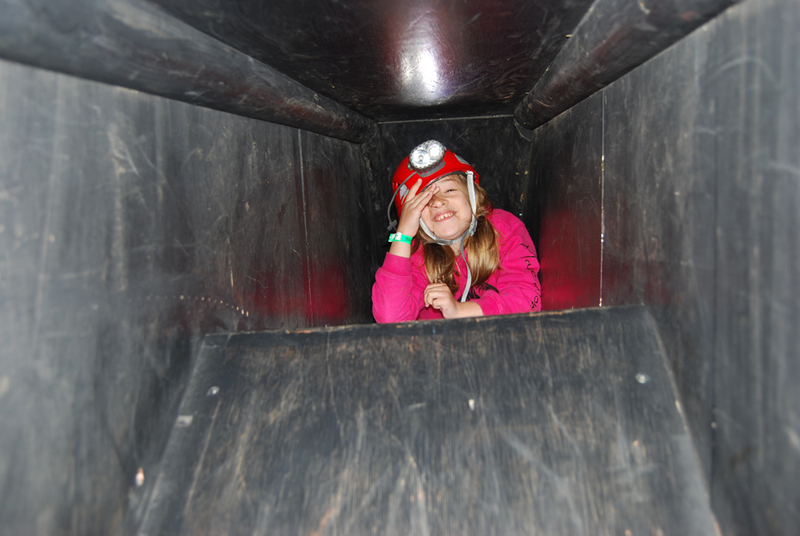 Enjoy the thrill and challenge of caving indoors at Paccar. Put on your cave helmet complete with head torch and find your way through the twists and turns of this caving complex. Suitable for all age groups, anyone up to what might be deemed “ an adult average size and height” will be able to pass through the complex. 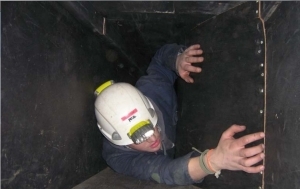 There are exit hatches in every section so those that have not tried caving before can take part and go as far as comfortable and exit at any point. Climbing the telegraph pole to the top may sound challenging enough but that’s just the start. Once at the top, you will find yourself balancing on a small platform, where your only option is to make the ‘leap of faith’ to the trapeze bar facing you… It’s a real test for anyone that tries it but offers a guaranteed sense of achievement. Conservation is at the heart of Paccar, we are passionate about encouraging young people to understand and appreciate this important legacy. Explore our two nature trails set in the heart of our woodlands. Learn about the different kinds of trees we have and take part in leaf identification. Group leaders are supplied with answer sheets. A great place to start your Forester Activity Badge. Participants utilise and develop teamwork and communication skills as they encounter a series of physical obstacles that they must traverse safely with their entire team while blindfolded. Max: 24 people. Leader/Adult Supervision is required. Whizz around our purpose built go kart track, a great team building activity. We have five karts available and also provide safety helmets. We have an extensive range of pioneering equipment and it is available to hire on a daily basis. Why not use our aerial runway equipment to work towards your Pioneer Activity Badge. Experience the thrill of a free-fall with our Quick Drop – Step off the edge of our 10 metre platform, its designed to feel like jumping out of a plane, this is the ultimate adrenaline–rush. Explore our series of 2ft (60cm) diameter underground tunnels and see where you can get to. Don’t worry if you need a quick exit, there are built-in escape hatches. All Paccar Instructors for this activity are NSRA qualified. You are welcome to supply your own instructors, if you wish to do so please ensure you bring your NSRA certificates as without producing them we are unable to allow you to take charge of any sessions. Max: 18 people. Minimum Age 8 Years. 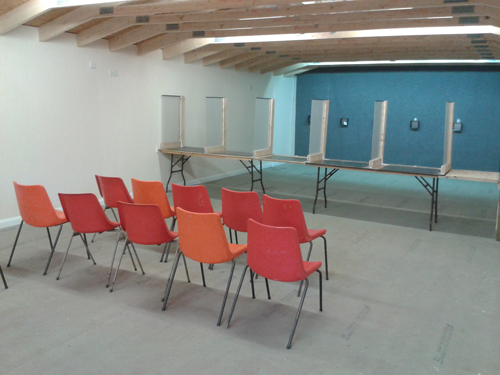 Brand new indoor Rifle Range with 6m and 10m firing points offering the full range of .177 shooting disciplines using the latest Air Rifles and equipment. For each young person under the age of 18 years of age, the leader of the activity must obtain written permission from each young person’s parent/guardian before undertaking the activity, or series of activities. Max: 20 people. Leader supervision required. Challenge yourself to see how far you can climb across. Our challenging double sided Traverse Wall has three zig zag faces on each side giving a full length of 20 metres. We have safety fall matting along the full length so everyone is nice and safe and can stretch their boundaries without fear of landing on hard ground.